(Newport, Oregon) – Newport’s Hatfield Marine Science Center is at the literal center of fun on the Oregon coast this summer, as the famed facility hosts a series of summer camps for kids in July and August that are guaranteed to tickle the intellect in an engaging and hands-on way. Starting July 14, it’s a set of intensive, hands-on sessions for tweens and teens with its Summer Day Camps at HMSC. Summer Day Camps at HMSC gives young people an opportunity to interact with researchers and learn about the marine environment through hands-on programs and field trips. Topics covered in each camp differ, ranging from marine technology to marine mammals. Each camp is four days long, running Monday through Thursday, 9 am to 3 pm and cost is $175.00 each. Space is limited and pre-registration is required. Register online at https://apps.ideal-logic.com/seagrantmarineed?key=07487cb0a8. July 14 to 17. Ocean of Opportunity, for ages 15 to 18. Explore a sea of marine careers as everyone meets a variety of scientists and collects data. Kids will go behind-the-scenes of marine labs and out in the field to learn about and practice research techniques. They will be designing and constructing instruments to collect data, and helping researchers conduct a necropsy and collect samples for further analysis. July 21 to 24. Inside Out Camp, for ages 13-14. Teens will learn about marine animals from the inside out as Hatfield staff conduct dissections, work with researchers to determine cause of death, and collect data on feeding habits of fish by analyzing stomach contents. Kids will also spend plenty of time outside the lab exploring nearby ecosystems through kayaking, tide pooling and shrimp slurping. July 28-31. Forests to Sea, for kids 11 to 12. Explore the Oregon coast from forests to the open ocean. 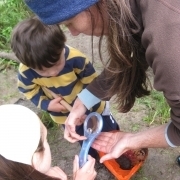 Compare the different habitats and their inhabitants as you investigate the connections between various ecosystems through a variety of field explorations and hands-on experiments. August 4-7. The final camp of the summer which is for 8-10 year olds runs and focuses on Campers will discover what patterns are hidden in animal shapes, structures and behaviors as they participate in hands-on activities and observe a variety of live animals at the sandy beach, salt marsh and rocky shore.